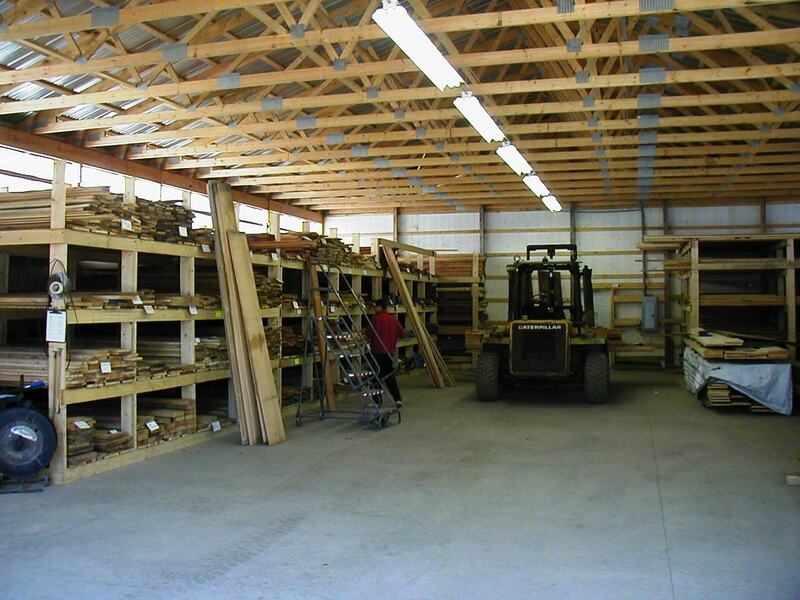 Customers choose their lumber from our stock. Boards are stocked by species and thickness. All lumber within the warehouse is kiln-dried.